Welcome to September's Stamp of the Month blog hop! 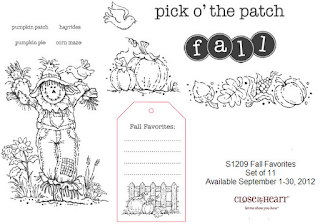 This month we are showcasing "Fall Favorites" a set of 11 stamps. If you are coming from Traci's blog, you are on the right track. It's okay if you are starting here; just be sure to complete the circle so you don't miss any of the wonderful projects my fellow consultants have created. 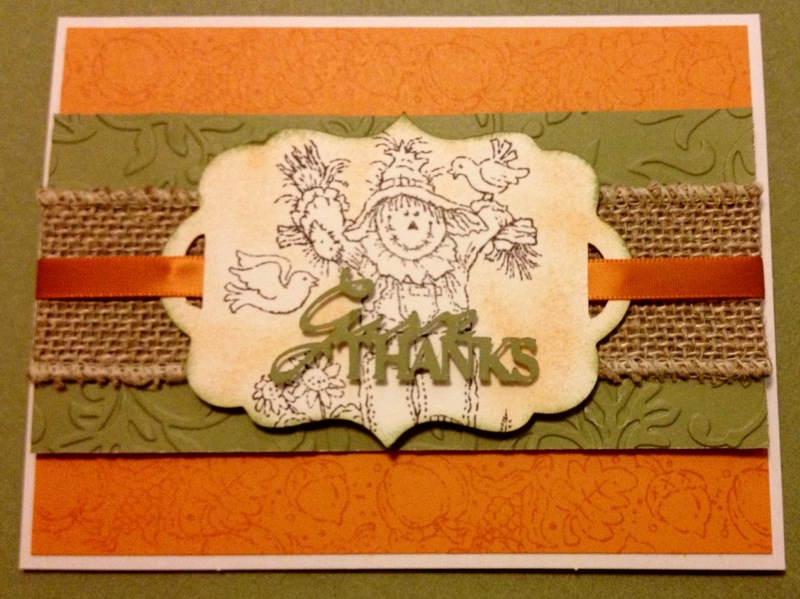 CTMH supplies used were cardstock in Colonial white, Goldrush and Olive. Burlap ribbon, the Art Philosophy and Artiste cricut cartridges. 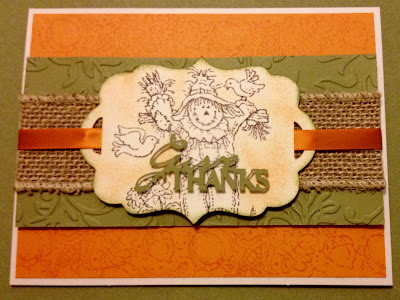 Now hop along to Michelle's blog to enjoy more projects featuring this great stamp set. 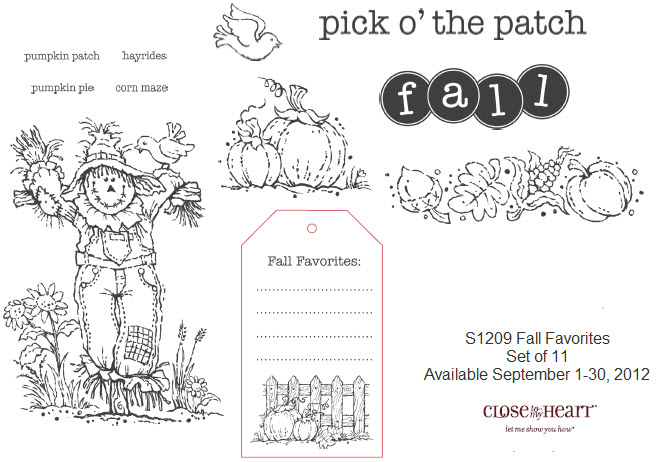 It's sure to become one of your fall favorites so don't forget it will only be available for the month of September. 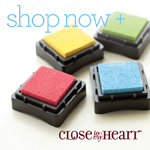 Contact your consultant or go here to order yours today. Love this! The words look perfect on tops. Did you just use itty bitty pieces of foam tape? I love how you did the scarecrow! Sometimes it is nice to know you don't have to color a line drawn stamp! @Krista-yes, I just cut little slivers of foam tape to mount it. I LOVE! that you didn't color the scarecrow! Oh, I love that! I love the embossing on the paper and the ribbon through the shape!